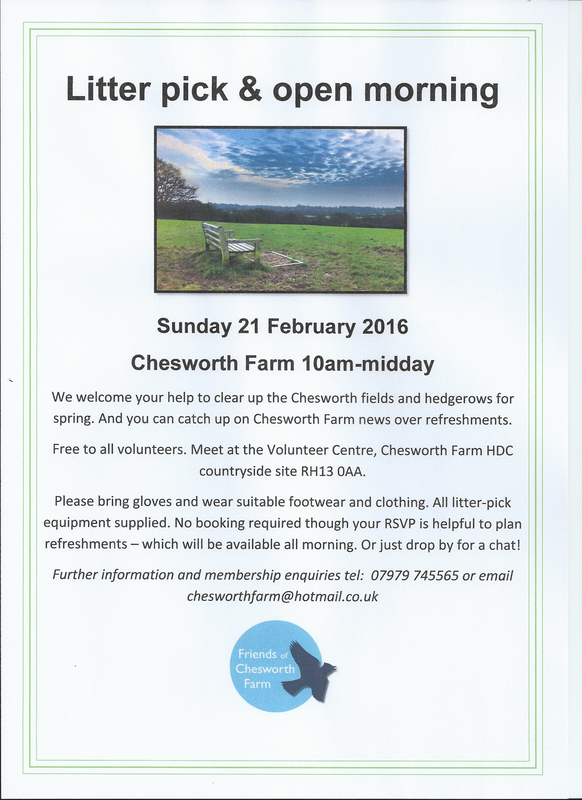 We welcome your help to clear up the Chesworth fields and hedgerows for spring. Event free to all volunteers. Please bring gloves and wear suitable footwear and clothing. All litter-pick equipment supplied. Booking your place is useful but not essential. If you prefer, just drop by for a chat in the Volunteer Centre and you can catch up on Chesworth Farm news over refreshments: please bring your small change for a donation to funds. Further information and membership enquiries tel: 07979 745565, email chesworthfarm@hotmail.co.uk or send us a message here using our Contact page.